Now, I’d like those ifs to go away, but that requires a bit of thoughtful interface work. In the mean time, give it a whirl on your data. See this branch on github for the whole package : https://github.com/OpenDroneMap/OpenDroneMap. A special thanks to Spotscale (http://www.spotscale.com/) for undertaking and executing this work. Textured mesh of Seneca test dataset (flown by Fred Judson and others of ODOT with Sensefly Swinglet). Ignore curves– they are all in the no-data areas. 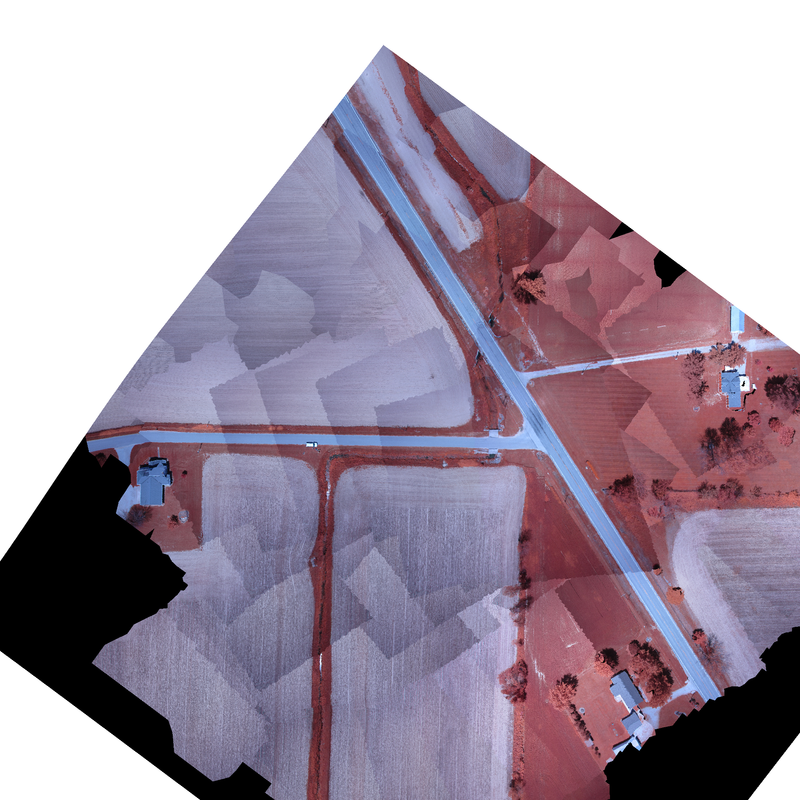 Orthophoto of Seneca test dataset (flown by Fred Judson and others of ODOT with Sensefly Swinglet). This looks excellent! What Linux distro do you use for the project? Ubuntu is the distro of choice to date. I think it would work unmodified on Debian, but I don’t know that anyone has tried. So far it is just tested with 12.04 for texturing and orthophotos. I’ll be testing with 14.04 shortly.